Learn 101 Amazing Uses for Coconut Oil Today! Have you always wanted to learn of the wonderful benefits you can get from Coconut Oil, but didn't know where to start? Read on to get the chance to learn 101 secret cures, benefits, uses and remedies for Coconut Oil NOW! Now is your chance to know everything about Coconut Oil by following the steps outlined in this book. Are you looking for a natural means to improve your health and beauty? Do you envision having a healthy and all-natural lifestyle? The TRUTH is COCONUT OIL has been being used by humans for over 5000 years now. It has been used and popular in tropical countries for their restorative and healing properties. FACT: The use of coconut oil in modern medicine has been lost over the years even though it’s medicinal, nutritional, and functional properties have shown to be wonderful for humans. Coconut oil is different structurally, functionally and behaves differently than other saturated fats, making it a very healthy alternative to polyunsaturated fats. * The History of Coconut Oil - Coconut oil is gaining new ground today as a healthy oil Coconut oil is natural and has so many wonderful uses for the overall health of you and your family, both inside and out. It can also be used in your home as a chemical free alternative to cleaning products. Extra virgin coconut oil that has not been refined has a pleasant aroma, a pure, white color and is solid. It also has a sweet taste. Coconut oil that has been refined will not have these characteristics. Be sure you pick an extra virgin coconut oil. Inside we will give you 101 reasons to love coconut oil. * Coconut Oil Before, During, and After Pregnancy - Coconut oil is 100% safe to use before, during and after pregnancy. There are many uses for coconut oil for both you and baby. 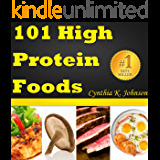 They are healthy alternatives to over-the-counter remedies as well. We will begin our 101 uses for coconut oil by looking at the ways that it is beneficial to you (and baby) before, during and after pregnancy. * Using Coconut Oil for your Health - Coconut Oil has a wide variety of health benefits. We will explore many of these inside this book! * Coconut Oil for Personal Hygiene and Home Use - Coconut oil is great for personal hygiene and is an all-natural alternative to store bought products that contain so many chemicals. It can also be a handy little helper around the house so you can have a home that is free of toxic cleaners and other products. * How to keep your skin looking youthful and beautiful - Stop spending hundreds of dollars every year on expensive skin creams. We show you how Coconut Oil can be a cure all for having the best skin of anyone you know. * How to heal your body from the inside out. - Many people think beauty is all on the outside. Find out how true beauty starts on the inside and then radiates to the outside. What are you waiting for? If you are still reading this you are obviously motivated to start getting to know the 101 Benefits of Coconut Oil to maximize your life. When I got this book I was just getting started using Coconut oil..I had no idea their were so many things to use it for or ways. I now use it. Everyday. Smoothies, cooking, on my skin, sometimes in juice or V8, do the oral pull once a week. Kills germs and my mouth never felt so clean. I can only do 10 mins. But that works. Do a oil treatment for my hair every other week. My hair is getting thicker and doesn't come out as bad. My skin is like silk. ( am in my 80's ). Am losing weight. ( 10 lbs. In 4 weeks. ). Needless to say I am sold on Coconut Oil. It must be organic cold pressed, unrefined oil. We use Nutiva. Can get it from Amazon too. You can buy cheaper in some stores and we tried some. But as the old saying goes " You get what you pay for." I will only use Nutiva from now on. It has become a staple in our house ,same as our coffee. I did not know that Coconut oil has so many restorative health properties and treatments! 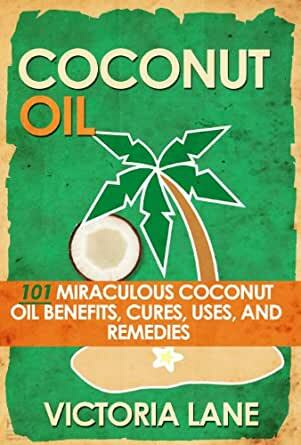 In the book, COCONUT OIL 101 Miraculous Coconut Oil Benefits, Cures, Uses, and Remedies by Victoria Lane, we can learn that the coconut oil has been tested by time and repeated usage with positive results. In today's world it's hard to keep up with chemicals, drugs, and other harsh agents that are being used in our medicines, cosmetics, foods, and cleaning products because there are so many that we see and use daily. Many we don't even realize that can be potentially harmful to our health with sustained usage over time. Worries with our health increase daily with the rising numbers of diabetes, heart disease, and cholesterol keeps us confused and guessing as to what information is the correct information. Sometimes it's just easier to turn back to a natural way of living, eating and taking care of ourselves. 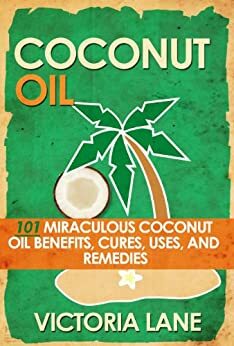 From this book I could learn that coconut oil has a greater role in everyday life and it can substitute many, costly medicines and cosmetics. Buy this book and see how many more uses you can come up with for a most amazing oil. Highly recommended book, that every nature-lover should have in their library. I have read two books now and both regarded coconut oil very highly. I decided to start working with it. I am now using coconut oil as a pulling agent. I grind my teeth at night so they are sometimes very sore and feel loose after waking. since I started pulling (less than 10 days) my teeth do not hurt when I wake. they actually feel stronger. my breath is so much better. I also started applying coconut nightly to areas of thinning hair. we will see how that goes. I am also starting a nightly regiment of coconut oil as a facial cream. so far I am very impressed with the results I am seeing. Some good information, but not much of an explanation of how to use it and a lot of vague recipes for making some of the lotions. She even tells you to just go to the internet to find out how to make different lotions, etc. going to the internet first probably would have been a better idea than purchasing this very short book. I don't rate a book down because of grammatical errors, but no one could have proofread this. My hubby is a big fan o coconut oil but I had not really given it much thought. After reading this book I will be incorporating much more into my life. I knew it was good but I didn't know just how good it was for me..And not just the health aspects but also all the other amazing uses it has around the home.